Baby Sign Language Classes - Canada. 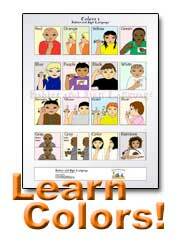 Sign language classes for hearing babies, children, parents, caregivers and educators. Classes are fun, educational and interactive! We also offer certificate courses, private sessions, parties and online classes. Fees: Please visit our website for our classes and fees. Details about business, classes, and discounts: Now accepting registrations for a level 1, 8 week class at the Acadia Recreation Complex (SE Calgary). Classes start Mondays September 14 through November 9th (no class October 12th) from 10:30-11:15 am. Details about business, classes, and discounts: Sign language and play classes from baby to preschool. Sessions are 8 weeks long and you will learn well over 100 signs. Songs, games and activities make these classes engaging, exciting and plenty of fun! Details about business, classes, and discounts: At My Smart Hands we offer Sign Classes for hearing babies and toddlers. During the 8 week course you will learn over 100 new signs. You will also learn some fun signing songs! Contact for classes and schedules, or host your own class at your location with 4 or more moms (5 or more get a discount! )10% off with a Socialmamas.com VIP card (coming April '09). Moms group discounts are also available, contact for details! Fees: $130 including full colour manual. 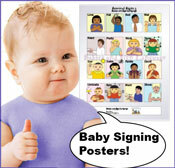 Rise N'Sign Infant Series Level II: Includes over 100 signs to take your signing experience even further. Discounts? Yes, see website for coupon. Details: We offer the WeeHands Signing Babies I curriculum. An eight week session, with 45 minute classes once per week. Details: Sign language classes for children. Details: Introduction to Signing with Your Baby (45 minutes) - information and demonstration. Sing & Sign Through the Day - 2-hour workshop where you learn how to sign with your baby and a minimum of 50 signs are taught. Discounts? Yes: If you refer a friend you recieve a $5.00 off coupon to put towards either the Sing & Sign Workshop OR Signing Babies I Class. Details: WeeHands sign language classes for babies, toddlers and preschoolers too! Classes are 8 weeks long and start from 4 months of age and up! Classes are ongoing throughout the year. Please contact instructor for upcoming class dates, times, locations. Fees: approximately $140 for 8 weeks, including manual. SA/CCAS/CAS applicants are eligible for assistance. Discounts? Yes, Register with a friend for the same class and each receive $8 off for 2008! Return from "Baby Sign Classes International" to "Infant Signing Language home page"